Literary arguments about authorship, especially Oxfordian arguments, are easily subjectivised, stretched and exaggerated. You can't do that so easily with mathematical arguments. The data says what it says. In The Case of the Folger Bible Marks, the data isn't saying what Oxfordians say. These pages look at an Oxfordian mathematical conjuring trick and what the distribution of the marks reveals about those who made them. His PhD dissertation, written mostly in the 1990's, is entitled The Marginalia of Edward De Vere's Geneva Bible: Providential Discovery, Literary Reasoning and Historical Consequence . 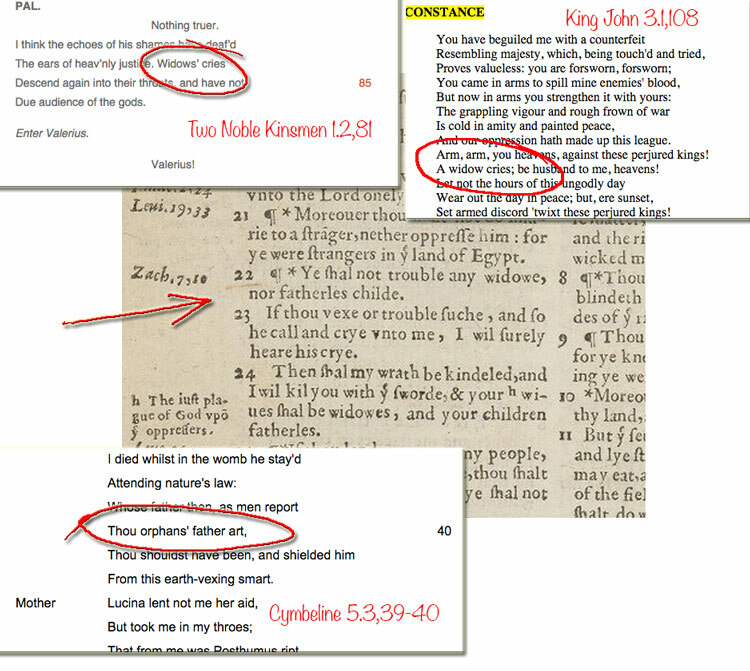 We've used a few math power tools to look at the connections between the marks and Naseeb Shaheen's database of biblical references to Shakespeare. The math environment R enables large datasets to be examined rapidly from every standpoint and having done so, we are unable to tick any of the boxes advertised in the title. There is absolutely no historical consequence, very little in the way of accurate literary reasoning, no discoveries and not much in the way of providence apart from the divine variety Stritmatter must have been hoping would save him from any kind of detailed analysis of his mathematics. The ideas contained within the work supposedly constitute the wireframe structure of a new Shakespearean paradigm. His unsupported theorising about Oxford certainly occupies a great deal more of his time than his attempts to draw conclusions from the distribution and frequency of marks which, it turns out, contain no lessons to be learned about Shakespeare. The wider aim is to uncouple the Stratford Bard and hook the authorship of his work to The 17th Earl of Oxford. The dissertation can be found on his website. Stritmatter can currently be found in various comment columns, basking in the glory of his academic titles and claiming his new paradigm is not very far off. All new paradigm designers make the same claim. How far off? If it relies on anything in this thesis, then it isn't visible to any known instruments or current technologies. These pages look at what can be learned from the marks and the role of coincidence in assessing who made them. The wider issue, perhaps, should be “Is there anything to be added to our knowledge of the author by studying the marks in this particular bible?” The simple answer is "Nothing". This site should have enough information for anyone to form their own conclusions. We have pictures of the most heavily marked pages and charts demonstrating the frequency and distribution of the work of the annotators. We have collected all the references and marks in a single, large dataset. This follows the work of David Kathman for the list of marks, that of Naseeb Shaheen for the Bible references and Stritmatter's own additions and 'diagnostics'. On the site, we have included some of Tom Veal's work on analysis of the handwriting. It will surprise no one that a completely different set of standards applies when identifying Oxford's handwriting to that which applies when attributing Hand D to Shakespeare. Mark Anderson (another Oxfordian author) is the independent consultant called in to support Stritmatter's analysis. Of course, we don't dispute the reality of Bible references. Nor that there is profitable knowledge to be gained from their study in relation to the influence of the Bible on Shakespeare's work. Just as there are numerous varieties of mark, there are numerous varieties of reference. In his 1984 book on Marlowe's Bible references, R Cornelius classified the references he found into 'Probable' and 'Definite' and probably should have added a third category for 'Possible'. On the issue of definition however, Stritmatter uses only the broadest of brushes and is full of tricks. He counts references without classification and even adds a series of new ones, all of which, coincidence no doubt, improve his statistical claims. Shaheen, over the course of a long academic lifetime, has done all the heavy lifting in collecting Shakespeare's references to the Bible. His heavily reviewed work provides a sensible base for calculation. But to the 80 references to passages which are marked in the Folger Geneva, derived from Shaheen by Kathman, Stritmatter has added 120 of his own, an increase of 150% . Almost all of these new additions are connected to verses that were marked. To make fair calculations, it would be necessary to augment all the unexamined verses by a similar ratio, assuming that if Stritmatter had combed through the whole Bible (rather than the marked sections) he would have found a similar ratio of unmarked references. This would produce a dataset of more than 5000 references. Tom Veal pointed out that other authorities have created lists of references which are different to Shaheen's and could also be used to inflate the reference total. He added another 2000 from other lists. These additions would create a dataset of more than 7000, resulting in unusably tiny percentages of matches when it comes to the tricky business of calculating probabilities. When he does put his statistician's hat on, Stritmatter hacks off two-thirds of the Bible at a stroke, arbitrarily deciding that 2 out of every 3 verses are not “rich enough in their language and philosophical content” to be referenced in a literary work. Two-thirds of the Bible, he says, is “essentially devoid of usable content.” So much for the word of God. This coup enables him to work with 10000 verses instead of 31000: his odds are three-fold improved. Every 1% match is now 3%. But he’s already inflated his marked verses by 150%: so 1% is now 4.5%. He then uses those manipulated figures to carry out his exercises in probability. A mathematician should be gasping for breath at this point (one was). Furthermore, a close look at Shaheen's list reveals up to a third of the references suggest only the merest whiff of a connection. So yet another third could be removed from Stritmatter's side of the equation. Some, especially those references “discovered” by Stritmatter, may hardly seem to be connections at all. Apophenic support for his argument, more like. Resisting all this assumptive jiggery-pokery, we looked at a dataset containing 550 marks, 3496 bible references, 107 matches, 109 Stritmatter Additions, 64 Stritmatter Direct Diagnostics and 24 Stritmatter Indirect Diagnostics. We do not expect these totals to coincide exactly with Stritmatter's, Shaheen's or those of anyone else who decides to do their own checking. The original files were in the form of Word documents and pdf images. Our process of assembly, digital where possible, was not tolerant of missing parentheses, broken quotes or of text ranges (e.g. 2-16) formatted as five figure dates by Word or Excel. We fixed what we could for the sake of accuracy and rather than make guesses, we ignored anything incomplete or made incomplete by the cleaning process. The results enabled us to make lots of comparisons, looking closely at consistencies and inconsistencies in the relationship between playwright and annotator at section, book, chapter and verse level, something that is new in the examination of these marks. We can also tip the axes around and look at the plays, individually or in groups. This turned out to be a very revealing exercise. Who made the marks in this copy of the Geneva Bible? Since his thesis appeared in the late 1990's, almost everyone who has chosen to argue with Stritmatter's conclusions, with the exception of Tom Veal and David Kathman, has been willing to accept or at least work with Stritmatter's contention that the marks are made by the first owner, Edward, Earl of Oxford. Ironically, it's simpler to rebut the relevance of the marks than to make a case against the Earl's authorship. However, we think that the case for the existence of at least three annotators is very strong indeed. There is no way to prove our contention, or identify any of the annotators by current profiling methods, yet in dealing with his assumption that the Earl was the sole author, we can at least allow ourselves the latitude to do what Stritmatter set out to do. We can make some informed guesses about the authors of the marks using inferences based on the distribution of their ink. We can also ask questions which are not addressed in the thesis. Stritmatter doesn't pause to consider why a single annotator would mark the same passage more than once. Nor does he examine the possibility that different styles of marking represent different interests or purposes. He simply begins with the conclusion that the marks are De Vere's and proceeds from there. However, having started down that road we're sure we can come up with better guesses, not to mention more likely candidates than De Vere himself. In fact, upon closer examination, it becomes apparent that none of Stritmatter's detailed claims are supported by detailed analysis and that his keystone claim, that De Vere made ALL the marks, is his least defensible claim. The declaration of a probative relationship between a marked source document and a body of work should demand a very high correlation between shared detail and expression. 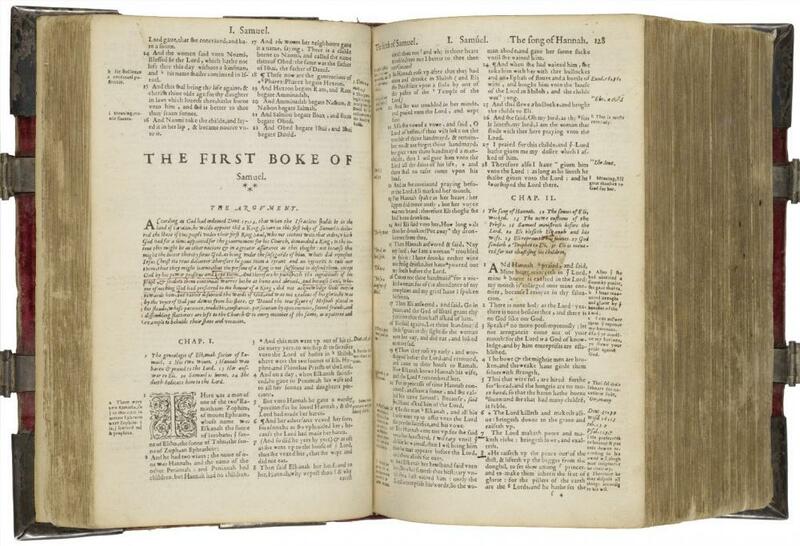 This is not Shakespeare's copy of Holinshed, Plutarch or even Hakluyt. The Bible was the most common book in Elizabethan life. Elizabethans were compelled by law to go to church. Commoner or aristocrat, they would hear the word of The Lord every Sunday in their registered church. Proving a relationship between an individual marked copy and the life's work of a playwright should therefore require a very high level of correlation. We have to eliminate the possibility that the pattern of references isn't merely coinciding with what was most popular in the Elizabethan pulpit. Stritmatter ignores this issue completely. Just as he considers no other possible candidates for authorship (except as 'Control Data') he spends no time worrying about whether Shakespeare's bible knowledge might be a good match for every other Elizabethan's bible knowledge. He fails to subtract that with which every churchgoer would be familiar before drawing conclusions about what might be peculiar to his case. His entire dissertation tends, instead, to assume a correlation between the Earl and the marks, tight enough to be above question with no allowances made. Even without making a whole series of permissible allowances favourable to our argument, our data tends to show the opposite. It shows that the relationship between the marks in the Folger Geneva and the Bible references in the Shakespearean canon is not only unconvincingly distant, it is barely palpable. The annotators and the playwright are simply not looking at the same things. Rather than march in step, the annotators and the playwright do a rather good job of studiously avoiding each other. Looking at the marks and matches at section and book level reveals nothing other than a common interest in just two books. And even that disappears when we look more closely at the chapter and verse level. The underlying premise in Stritmatter's thesis is simple enough, so he can be forgiven for jumping at the opportunity to try and prove that marginalia can help with authorship issues. He argues, reasonably perhaps, that if he succeeds in demonstrating a big enough correlation between the marks in the Folger Bible and the identifiable Biblical references in Shakespeare's work, then Oxford and Shakespeare could be the same person. He has latterly backed away from his claim to have proved this statistically in his Appendices but in theory, it ought to be possible with enough data and enough computing power to make some statements on the probability of one dataset sharing a non-random relationship with another. There's a red herring the size of a whale here—at least one. Even were this claim proved valid, what would would Stritmatter really have done? Proved that Oxford wrote Shakespeare? Or that Oxford was familiar with Shakespeare? 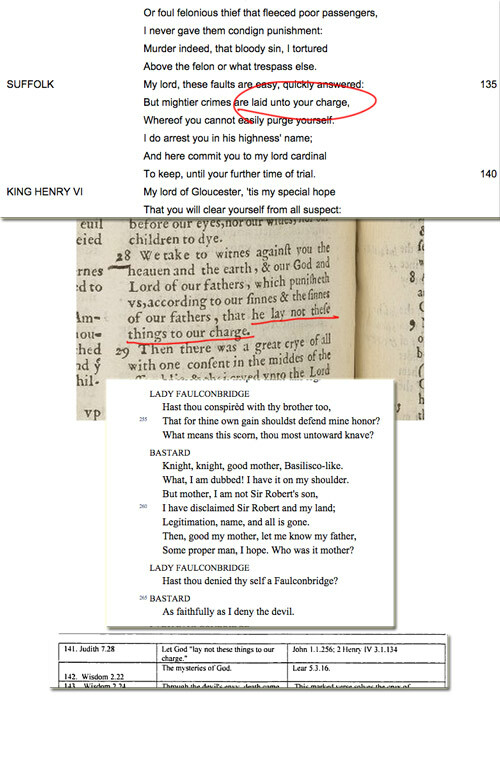 Or just that someone connected with Oxford went through the First Folio, marking up some connected references? Shakespeare's Bible is part of his creative hinterland, not a source. A concrete link between the marks and the canon would be suggestive, but nothing like proof of authorship. However, despite the entire quest to connect the marks to De Vere being a false grail, detailed examination of Shakespeare's bible references is not a waste of time. Instead of learning about Oxford from his marks, we can learn about the playwright from detailed classification of his references. By looking at Shakespeare's knowledge of favoured parts of the Bible in the plays, we can further distance the bard from the Earl by showing that Will's most referenced verses demonstrate intriguing thematic consistencies. Shakespeare's interests cannot, however, be mapped on to those demonstrated by the marks of the annotators. Contrary to one of Stritmatter's strongest claims. What are marks and references? This passage, Exodus 22.22, represents a marked passage (in this case a verse number underlined in the faintest remnants of red ink) with multiple references in Shaheen's list. This example also counts as a Stritmatter Direct Diagnostic. We have only the words 'widow' and 'father' in common but the eye of faith can see a connection even if its detection is beyond the power of a PERL script. There are 3500 such references to the Bible in the canon, according to Shaheen's latest list. There are 31000 verses in the Geneva Bible, about 1000 of which can be said to be marked. By collecting 80 or 107 (our total) or 140 or 199 of these marked references, depending on which count you choose to work with, Stritmatter thinks he has amassed enough evidence to separate Shakespeare from the credit for his work. Examined in detail, it doesn't look like much of a strategy yet bad as it is, it still manages to deliver a whole lot less than it promises. Naseeb Shaheen's list of 3500 references leaves the proposition stranded. Even with our own extended total of 107 matches, there is still a very unpropitious distribution with little to further the idea that Shakespeare made the marks, even if he made them all. In his Appendices, which do not appear on his website, Stritmatter builds up the total of matches from 80 (David Kathman's starting point) to 199 by extending the list of references with a selection of his own. He uses a helpfully selective process. He simply takes the list of marks and by cruising through a concordance, comes up with around 120 additional matches. He does not add any new references which are unmarked. He actually understates his total by occasionally miscounting sequences like 71-73 as two verses when they should count as three. After examining these additions we have reduced this total to 111. This is not a qualitative filtration (which would have resulted in a much larger reduction) but the exclusion of those additional references outside the plays. He also includes a small number of references to Oxford's letters which do not feature in our calculations. While much of what Stritmatter adds is fanciful at best, some of the matches he discovers are perfectly valid, enlightening even, like the example from Leviticus below. The reference to leaving behind the gleanings of the harvest for the poor may very well have been at the top of the playwright's mind as he wrote the scene. It's a complex concept, rather than a slight connection of vocabulary. Whilst it is an excellent match, it doesn't sound much like a passage De Vere would have marked, unless he was outraged at the waste of corn. Fortuitously, he wrote a poem, explaining his feelings on this very subject subject. But I tell you a parable, Ezra. Just as, when you ask the earth, it will tell you that it provides a large amount of clay from which earthenware is made, but only a little dust from which gold comes, so is the course of the present world. What a piece of work is a man! How noble in reason, how infinite in faculty! In form and moving how express and admirable! In action how like an angel, in apprehension how like a god! The beauty of the world. The paragon of animals. And yet, to me, what is this quintessence of dust? Man delights not me. No, nor woman neither, though by your smiling you seem to say so. Only the keenest Oxfordian fundamentalist could follow in those footsteps. We have concentrated on the relationship between matched and unmatched references but a more subjective investigation could, we think, prove that the more strongly a reference can be tied to Shakespeare, the less likely it is to have been written by the Earl of Oxford. Most of these additions are merely shared commonplace expressions or constructions; "whore-keeping", "stumbling block", "as the old proverb saith", or famously interesting personages such as "the whore of Babylon". They hardly constitute source material. Nevertheless, we have added them into the dataset and STILL, despite more than doubling the number of matches, there is no mathematical help for Stritmatter's proposition. 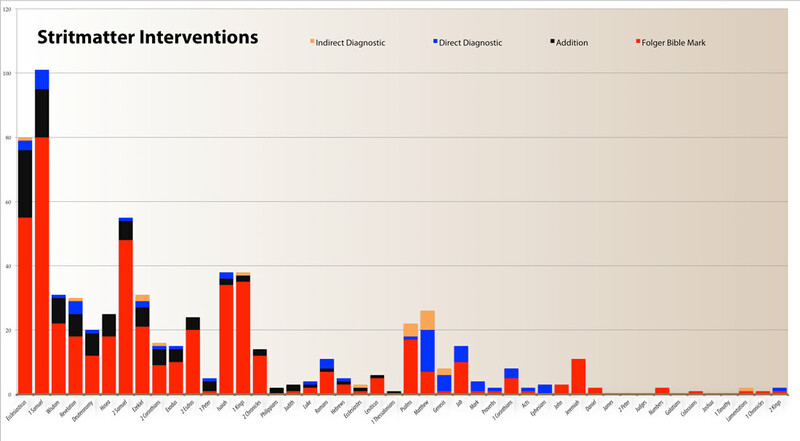 This chart shows all of the interventions. The largest number of additions has been made to the chapters with the largest number of marks and whilst they greatly improve the overlaps in 1 Samuel and Ecclesiasticus, they do little to suggest any further major areas of coincidence as the annotators continue, resolutely, to avoid the playwright's favourite parts of the Bible. We have looked at 1 Samuel in detail here. Stritmatter's additions, shown here in black, are concentrated where the marks are concentrated. He adds 21 matches to Ecclesiasticus and 15 to 1 Samuel, greatly improving the overlap in these two books but adding little to the overall coincidence. After a few books, their contribution peters out. There simply are not enough marks, even with the additions, to suggest a relationship between the annotators and the playwright. The world of Folger Bible marks is not enough. This small table tells a large tale about the strategy of addition. The reference to Leviticus [below] turns up a valid connection. The reference to Judith [right] is merely common usage. It's no more than the regurgitation of a commonplace expression in Henry IV (ii) and its correspondence in King John relates the young Falcounbridge's self-proclaimed bastardy with the idea of the sins of fathers, visited on their sons. A light touch at best. Stritmatter's additions are mostly manufactured from such tenuous materials. After grinding the numbers, our view is that the relationship between marks and references highlights the differences between the annotators and the playwright, rather than the reverse. Even when they both make lots of marks in the same book they rarely have much in common. The playwright likes the New Testament. The annotators are keener of The Old. 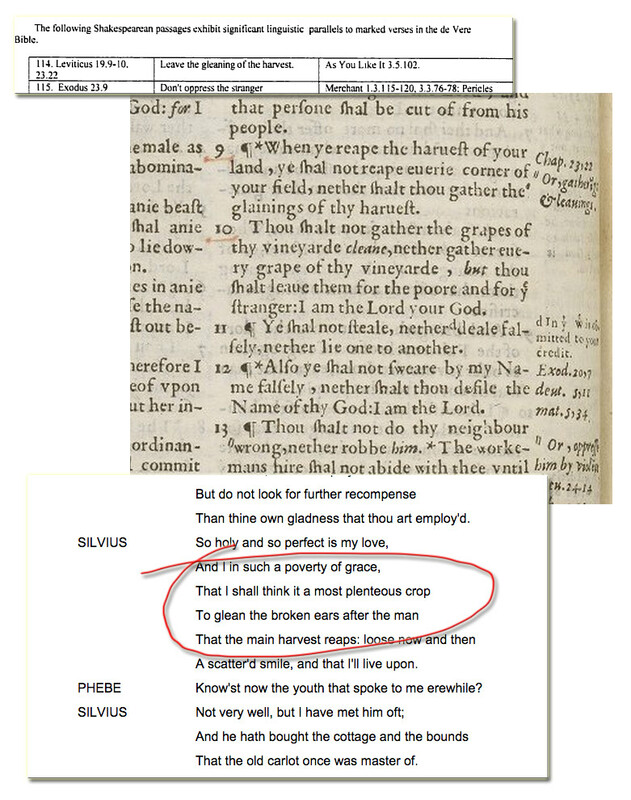 Shakespeare is soaked in references to Genesis, the annotators have marked only one verse, which the playwright ignored. There is nothing approaching statistical support for the idea that the marks are made by the playwright. In fact, there's nothing to support the idea that the 17th Earl of Oxford was responsible for all or even any of the annotations. The whole idea is nothing more than another Oxfordian mirage.